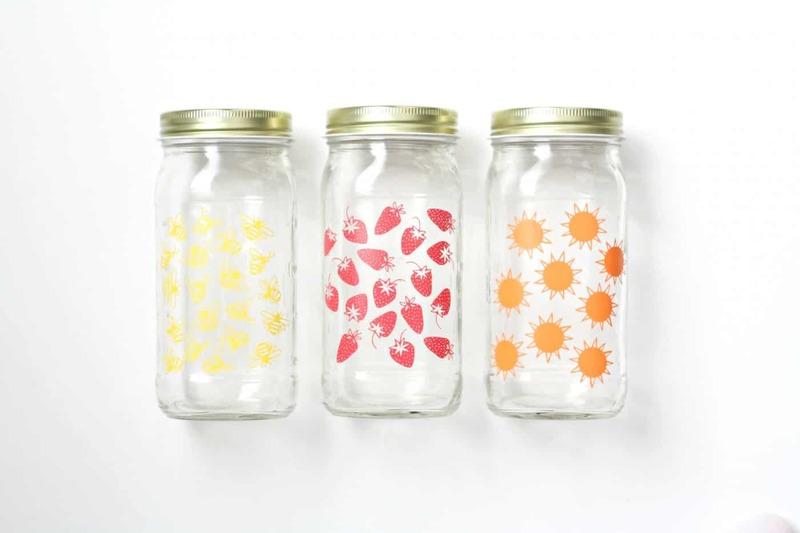 Follow this simple tutorial to upcycle a glass jar you have hanging out in your pantry. 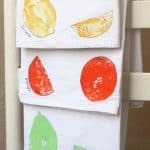 This summer craft is perfect for parties and picnics! We buy a lot of jarred peaches at our house – my little boy LOVES them. So I have a constantly-growing collection of glass jars in my pantry. Every time I open the pantry door, the jars basically scream at me to do something with them, so I decided to actually follow through and make this set of Summer Glass Jars. 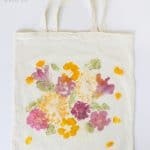 It’s the perfect summer craft! 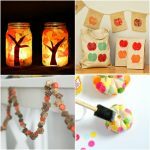 I love using a glass jar for dressings or sauces, and decorating these jars with some seasonal designs makes them so cute to take to a party or picnic. 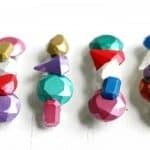 They would also make a darling gift as a set! 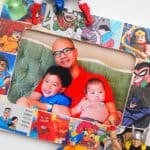 Here is the easiest tutorial for how I made them . . . 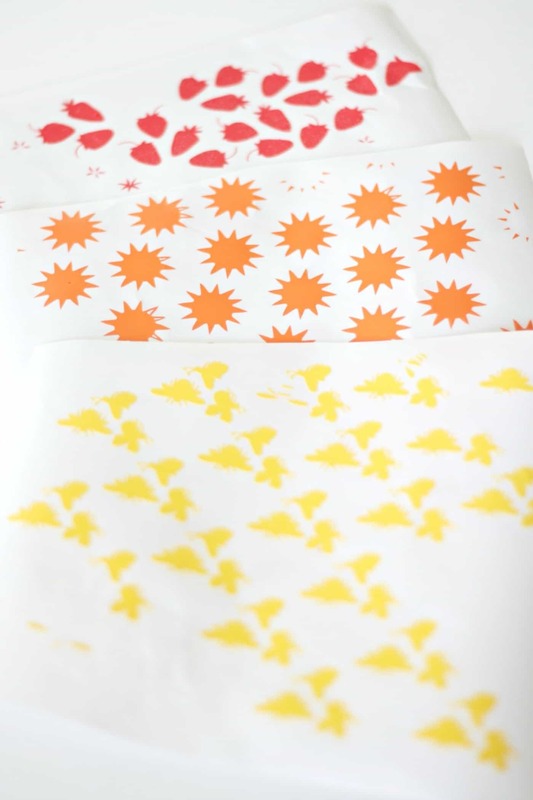 If you use a Silhouette, grab these strawberries, suns, and bees for your art! Step 1: Cut your design out of the vinyl. 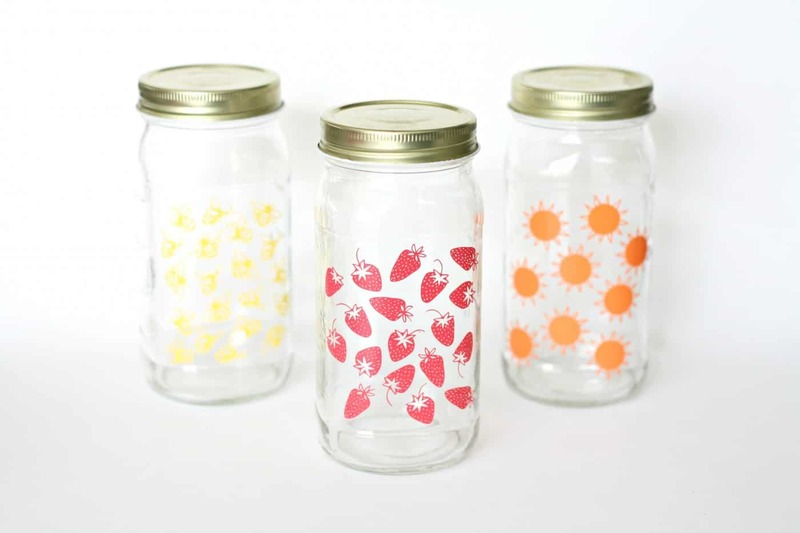 Step 2: Apply the vinyl to the jars. And you’re done! 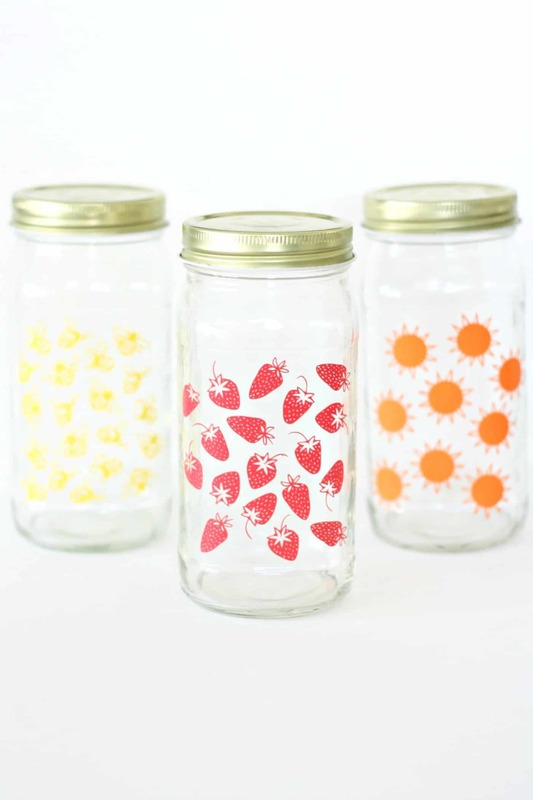 Vinyl holds up surprisingly well on glass even after washing, but if you really wanted to seal the designs on the jars, you could apply a coat or two of Dishwasher-Safe Mod Podge. 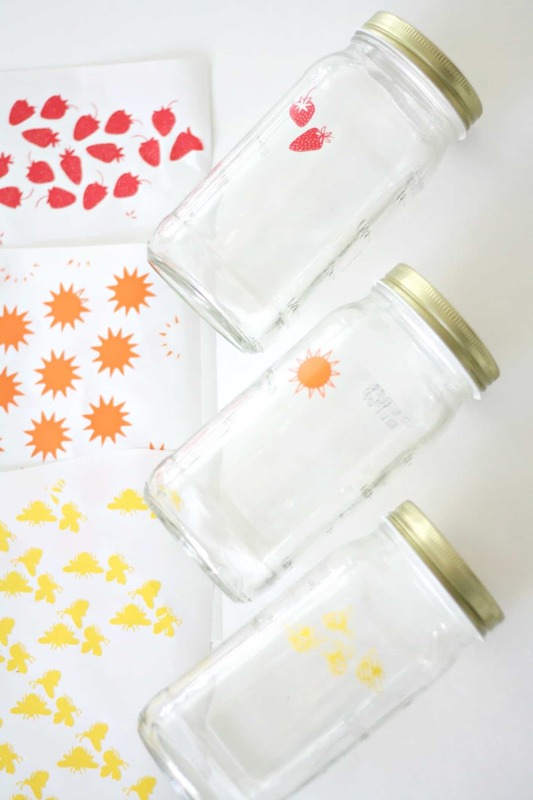 Time to grab a glass jar and get your summer craft on! Aren’t they so cute and fun? 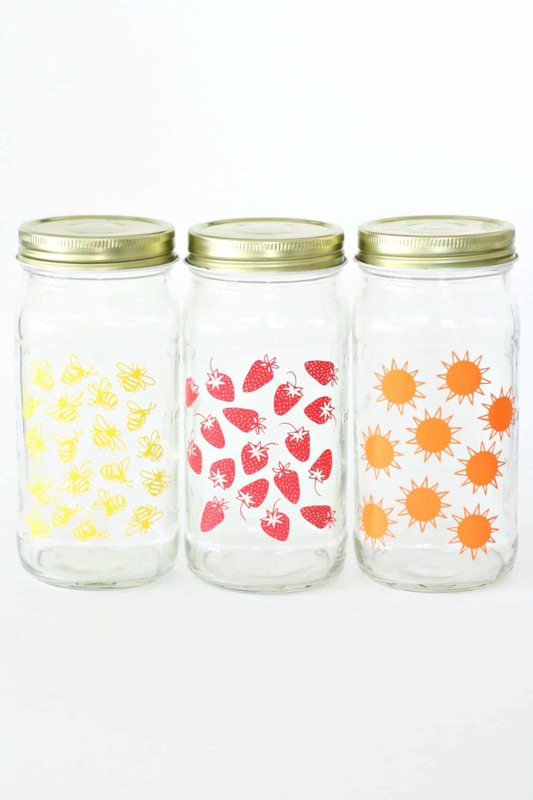 What designs would you put on your jars? And be sure to visit us as we blog about style, food, and the things we love over at the Pretty Life Girls where you can find other fun DIY projects like these DIY Flamingo Mirrors! You can also find us on Instagram, Facebook, Pinterest, and Twitter! Someone made some designs on a glass that I bought with this kind of vinyl. I drink out of it a lot and I love it! However, some of the designs came off in the dishwasher. They told me it could be put in the dishwasher. Would I be able to use the dishwasher safe Mod Podge on the vinyl on my glass but still be able to drink from it? I’d love to replace the ones that are on it that fell off. Hi Gail! Yes you would. You’d have to coat the entire glass to make it look even, but it sounds like you’d want to do that anyway. Just be sure to follow the instructions on the bottle. Thank you!